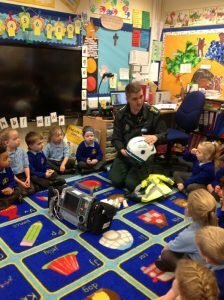 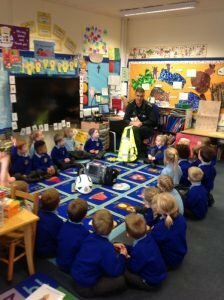 Today Reception had a very exciting start to the morning as we had a special visitor Mr Lee (Oscar’s Dad) who is a paramedic. He told the class all about his job and how he helps people. 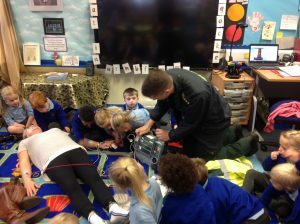 Thank you to Mrs Critchley who volunteered to have sensors attached to her arms and legs so that we could see her heartbeat on the monitor. 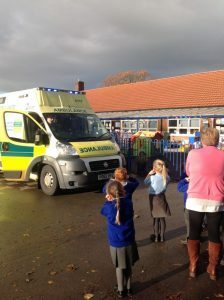 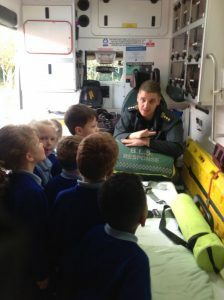 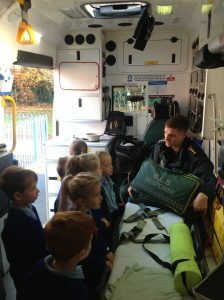 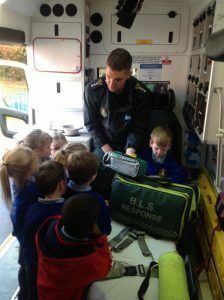 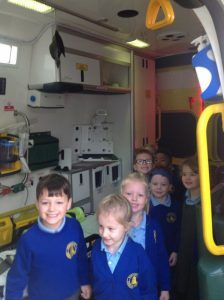 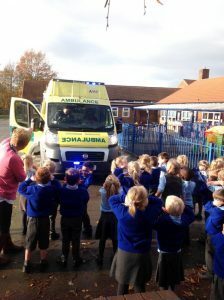 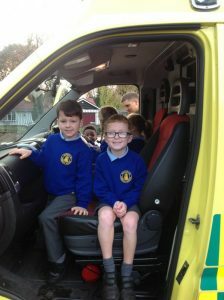 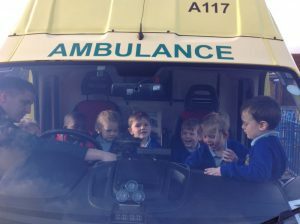 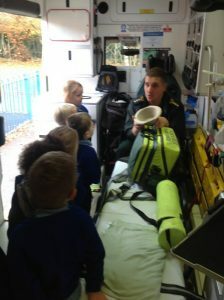 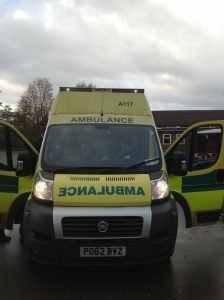 Mr Lee also brought with him an ambulance for the children to explore and ask questions. 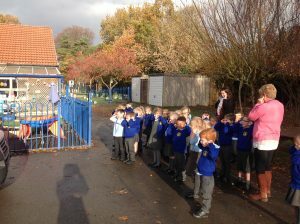 At the end we had to cover our ears when Mr Lee turned on the siren and flashing lights – it was very loud! 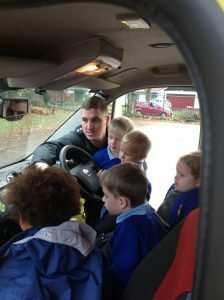 Thank you Mr Lee for coming into school to see us – we had a great time!